Gabion Box we are engaged in offering a huge gamut of Gabion Boxes. These baskets are manufacturing from PP rope or PVC coated wire filled with boulders to construct retaining wall, embankment, shore protection or other similar application. Further, these are stringently checked under the supervision of our quality controllers on various quality parameters set by the industry. In order to fulfill variegated demands of clients, these products are made available in various sizes and other related specifications .Gabion are manufacturing from PP rope or PVC Coated wire filled with boulders to construct retaining wall, embankment, shore protection or other similar application. Geocell Geocell creates a three dimensional erosion barrier and structural bridge that uniformly distributes weight-bearing loads. The cellular nature of Geocell enhances drainage and prevents build-up of hydrostatic pressure. Geocell is ideal for Earth Retention, Slope Retention, Load Support & Water Channel Protection structures. Advantages of geocell 1. Provides cost effective, long-term slope and channel protection and stabilization. 2. Ease in transportation and on-site handling due to collapsible cells. 3. Rapid and simple installation conforms to most terrain profiles. 4. Easily dismantled and subsequently re-used. 5. Withstands high weight bearing loads. 6. Resistant to biological attack and a wide range of soil borne chemicals. Geomebrane We are offering a Geomembrane Reservoirs For Potable Water System. This standard pertains to linings and floating covers manufactured from Geo membrane materials supplied in sheet form for lining, covering, or lining and covering potable water reservoirs. 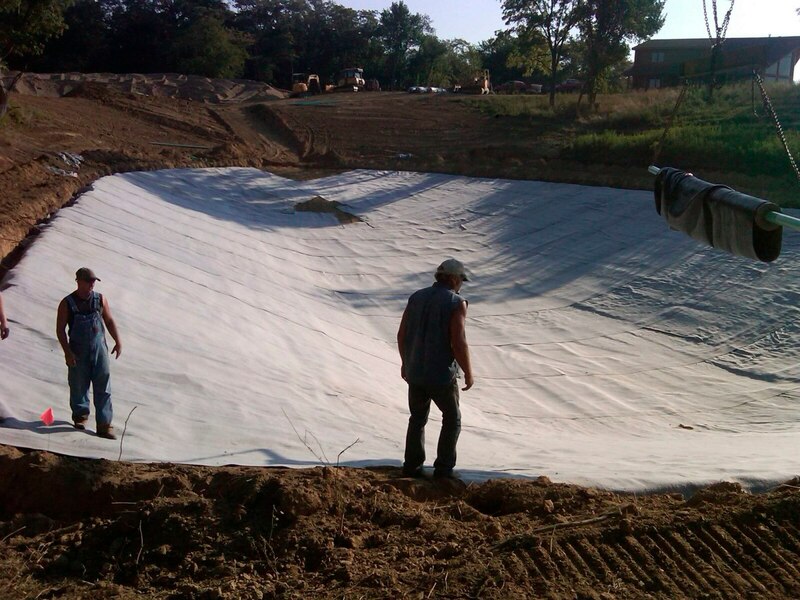 Geo-Membrane Covers and Linings for Potable Water Reservoirs, complements this standard by providing supplemental definitions of terms, as well as design, installation, operation, and maintenance considerations for flexible-membrane systems. The main purpose of this standard is to provide purchasers, manufacturers and suppliers with the minimum requirements for Geo-membrane-lining and floating-cover materials for potable water storage, including materials, materials construction, fabrication, and installation.